There are many reasons to love Instagram, and for us, finding food inspiration is at the top of the list. But taking an amazing food photo isn’t as easy as it looks. 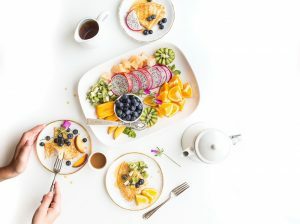 Whether you’re sharing your latest recipe creation or trying to spread the word on a new restaurant in town, posting a gorgeous image is essential. If you want to know exactly how to take like-worthy Instagram food photos, keep reading. These food photography tips are sure to get your posts more love. There’s nothing appetizing about a dark, grainy food pic. To set the stage for the best shot, find a source of natural light by setting up by a window or taking things outdoors. If the day is too bright, place a sheer curtain over the window, or find some shade to diffuse the light. Whenever possible, steer clear of artificial light. Try to take food pics during daylight hours and avoid using the flash at all costs. After lighting, the composition is the next important factor in capturing a mouth-watering image. Play around with utensil placement, the dish’s ingredients, or anything else you want to include in the shot. You can also add flowers and pretty linens in the frame to bring food photos to life. Don’t be afraid to get messy either— take a bite of the cookie, leave a forkful of pasta on a plate and leave that sprinkling of crumbs on the plate. These small, messy details can sometimes take your food photo to the next level. Turn your dining companions into your partners in crime. Have them hold or display their drinks while you take the shot for added movement. Don’t have enough light? Ask friends to use their iPhone light to illuminate the dish so you can turn your flash off. If you’re serious about elevating your food photography, you may want to think about using a camera instead of your iPhone for Instagram. Most professional food bloggers fill their feed with images taken with a digital camera. The manual settings give you more control over lighting. Plus, you’ll end up with a high-res image. 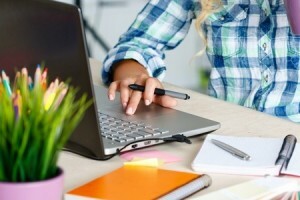 But keep in mind, you’ll need to upload the photo to your computer and email it to yourself in order to post on Instagram. As a loved one ages and the need to downsize the family home becomes apparent, it’s heartbreaking for family members to try to figure out what to do. Our loved ones’ homes are often filled with precious memories and items that need to be handled accordingly. This is what best-selling author and nationally syndicated home design columnist Marni Jameson had to face. Her new book, Downsizing The Family Home: What to Save, What to Let Go, offers incredible insight into the process she learned while clearing out her parents homestead and getting the home sold in less than a month. Yet, she admitted in her recent article that she was remiss to address what she did with her parent’s boxes of photos. After talking Diana Uricchio, owner of OXO Digital Organizing, Jameson came up with a list of digital organization tips that will help any photo preservation project go smoothly. While the digital organization tips she provided in the article were for both photos and documents, we wanted to focus on just the photo aspect (which is a heck of a project on its own!). 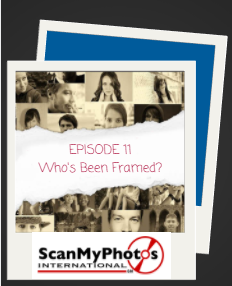 Tales From The Pictures We Saved – Episode 11: Who’s Been Framed? In this week’s episode, one ScanMyPhotos customer faced a daunting task so she could honor her late sister’s legacy. 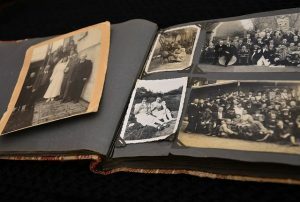 Preview: Old print photos usually end up in an unorganized pile inside a box or plastic bin. While this storing method is not recommended, it can certainly be easier to prep these photos for a scanning project than pulling apart framed pictures and praying the original copy doesn’t stick to the glass. There’s nothing like crossing items off your to-do list. The sweet feeling of accomplishment that comes when all the boxes are checked is incredibly liberating. To help you get there, the editors at Real Simple have dedicated this June to getting things done, challenging readers to share their completed projects on social with #GetItDone. They even mentioned ScanMyPhotos on page 127 in the June issue and offered some great photo organizing tips. The gang here at ScanMyPhotos is also eager to help you cross those photo projects off your list! So, if you’re ready to enjoy the summer by getting those lingering tasks completed, check out these five photo projects that you’ll want to take care of this June.